This season has been an uphill battle for the Jackets, who have played to just a 2-3 record in the ACC and a 4-4 record overall, but Saturday offers an opportunity to build momentum down the stretch — Tech looks to have a real chance at a bowl-game bid after opening the season 1-3, possible with how explosive the offense has locked at times. Replicating their zero-turnover performance from last week will almost guarantee a win. The Tar Heels enter this week trying to bounce back from 10-point loss to Virginia. 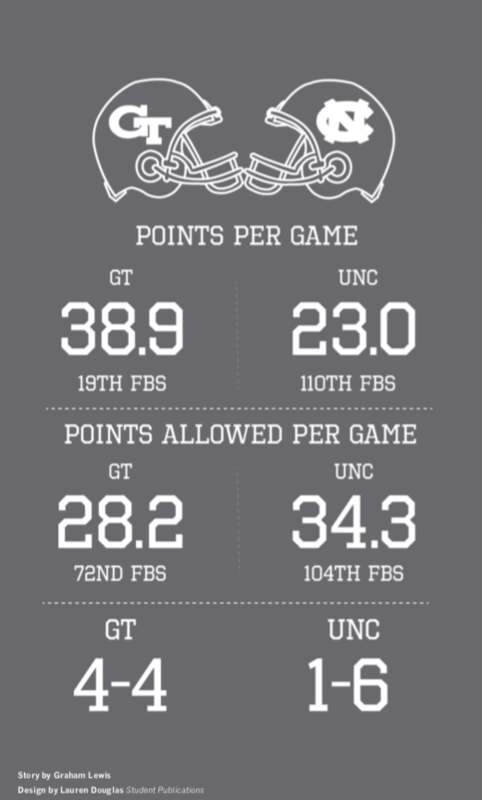 With a struggling defense, a hurting offense and a losing record, UNC is vulnerable. 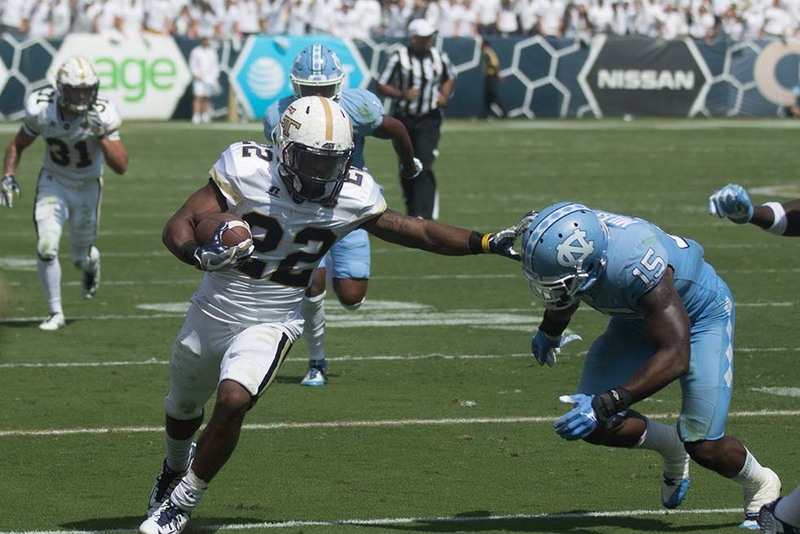 The team is last in the ACC coastal, and in their last game, the Tar Heels gave up 425 total yards of offense. Offensively, they have struggled to open lanes in the running game, notching only 66 rush yards versus Virginia. If Tech can keep UNC one-dimensional, expect to see punter Tom Sheldon early and often.